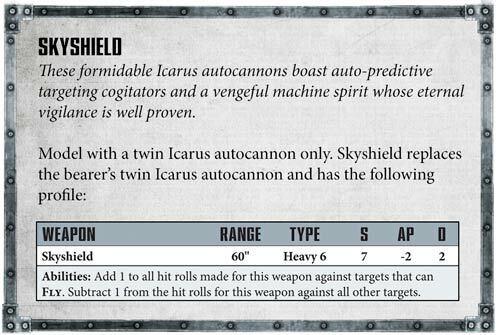 As usual, Warhammer Community has released a new post on Imperial Knights today! WOOHOO! 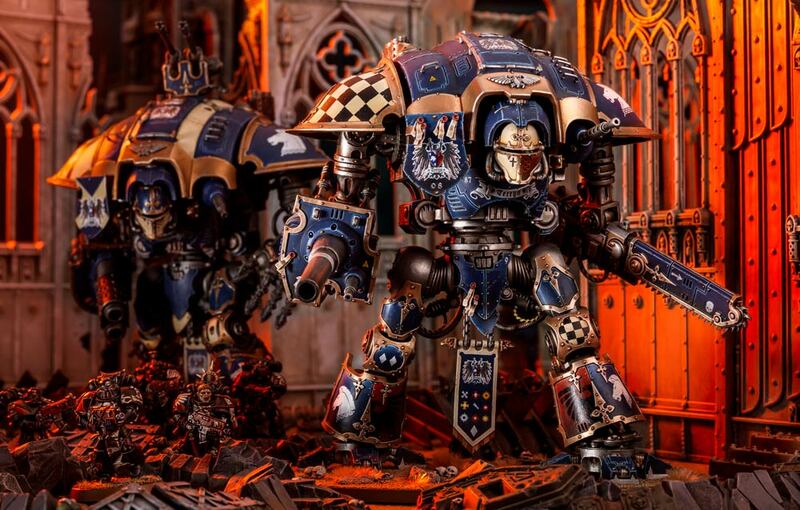 The article today is about how to customize your Knights! So we get to see several Warlord Traits and Relics! Not only can you customize your Warlord, you can also create Freeblades and customize them accordingly! 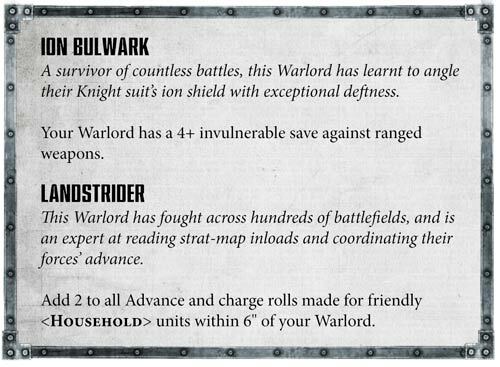 There are 15 Warlord Traits - 6 for everyone, and 9 for each of the Households. Sounds cool, right? Can't wait to see the other 4. 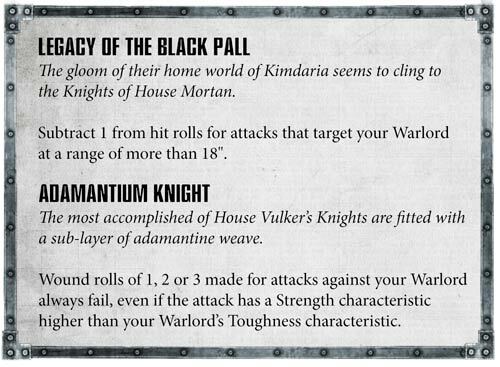 And then these are just 2 of the 9 Household Warlord Traits! Then you have Household Relics. They're basically Heirlooms of the Noble Houses. I think I'll let the pictures do the talking. Awesome, I guess? Not for me, though. 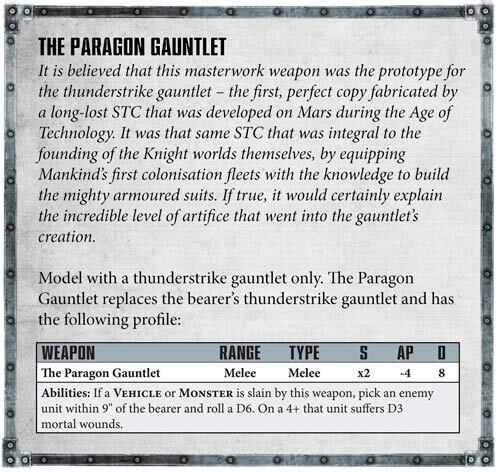 None of my Imperial Knights use the Thunderstrike Gauntlet. Huh, on the mother hand, it seems they don't suffer a penalty to their hit rolls when using this particular Paragon Gauntlet. This will be very useful for an objective-based game. Also great to surround your Knight with bubble wrap and infantry, and all your Guardsmen will stand strong and capture Objectives without running away or dying to morale! Okay, now this is cool. Makes me want to make my Knight Warden a Character just so I can equip him with this. Holy Terra, each roll of 6 becomes 2 hits?! And we have 14 shots!? Sign me up! Knights of the Imperium! Fire with Endless Fury! Like, literally. 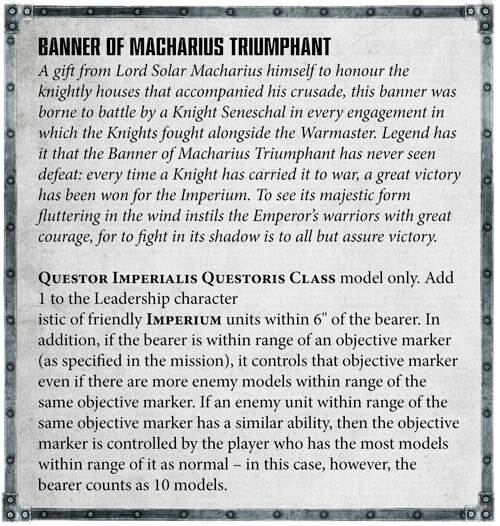 So there are 22 Heirlooms of the Noble Houses in the Imperial Knights codex, and I'm guessing at least 9 of them will be specific to the various houses. I'll be talking about Household Traditions once the Warhammer 40,000 Facebook page finishes revealing all of them, and compile them all into one post. And then you have Freeblades! Thanks to me playing Freeblade on the Facebook gameroom and maxing out my Freeblade, I have a soft spot for them. Oh hey! That's Sir Neru Degallio and his White Warden! Cool! Yes, yes. 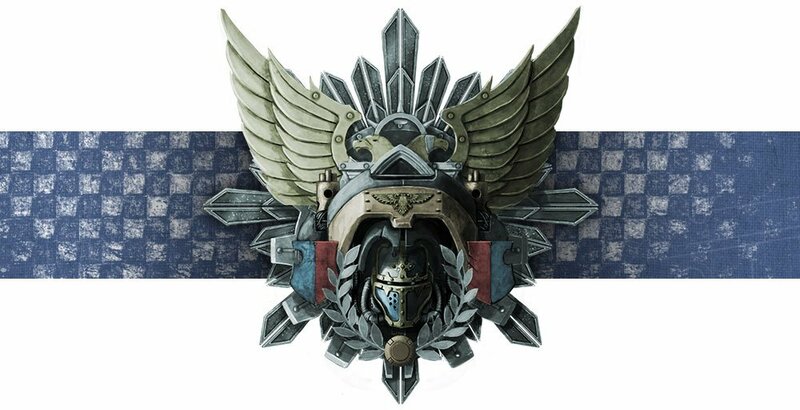 I'm a fanatical devotee to the Imperial Knights lore...he's from Alaric Prime, and after the fall of House Degallio to the Orks, Sir Degallio and his White Warden became a Freeblade and ran around crushing the enemies of the Imperium. Even if you choose to field a single Freeblade, you still have a lot of options to customize it. You can pick one Knight Quality! Or Freeblade Quality! These are pretty cool bonuses that enhance your Freeblade. On the other hand, you can instead roll on the table for two Qualities, but in return you have to pick two Burdens (or roll for one). 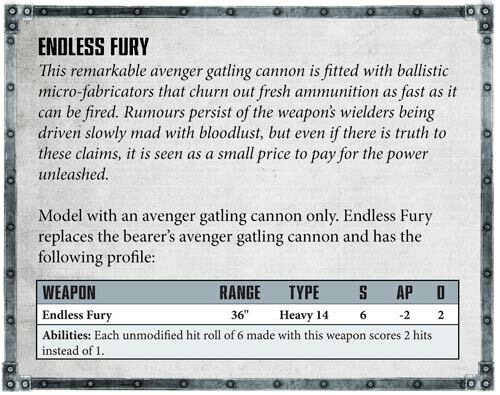 Bear in mind, it seems the same applies if you choose your own Freeblade Quality (that is, you still need to pick two Burdens or roll for one if you choose to pick your own Quality). Fortunately, Burdens don't apply all the time. You just do a Leadership check at the start of every turn to see whether it kicks in or not. Phew. 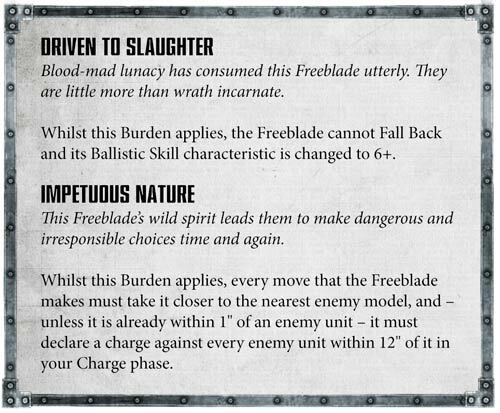 Here are examples of Freeblade Qualities. And then here are the examples to Freeblade Burdens. Oh, right. Freeblades are Characters, which means they can be both your Warlord and take Relics. So combine the Qualities with the Warlord Traits and Relics to create a particularly powerful Knight. That's pretty crazy! 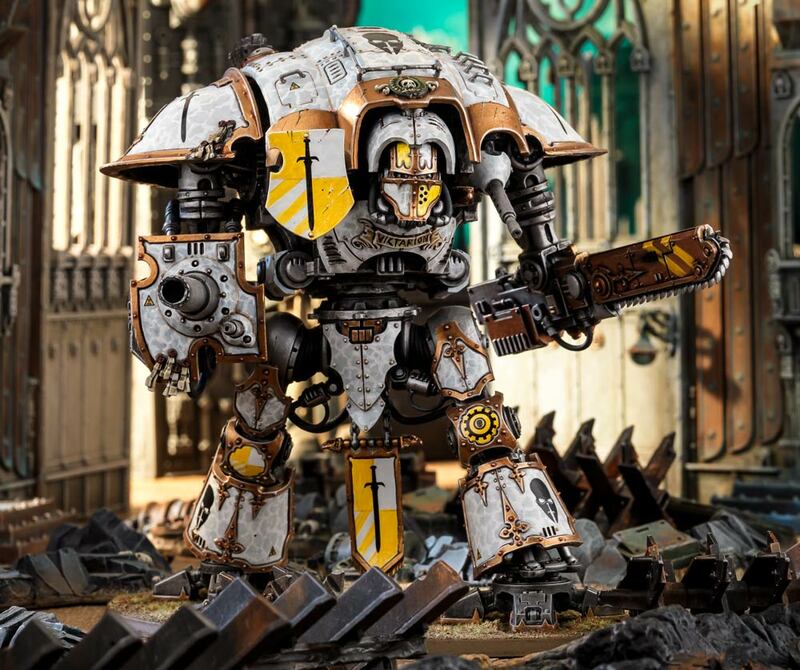 Of course, Freeblades don't benefit from Household Traditions, but they can still be very powerful with their Qualities and you can add a Freeblade to your Super-heavy Detachment to fulfil roles that your otherwise specialized Imperial Knights cannot. As Warhammer Community suggests, you can have a close combat focused Freeblade accompany your shooting House Vulker Knights. Pretty cool, huh? 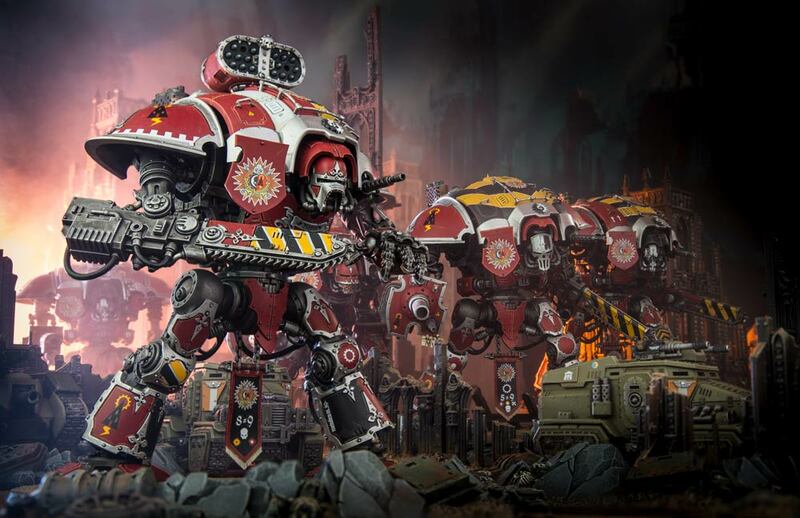 Anyway, I'll keep my eyes out for more news, and as a reminder, pre-orders will be open for the Imperial Knight codex on Saturday!